Andre Gailey Coutinho used to work at a market stall. The thing he liked the least was setting up and dismantling the stall. As all market traders want to do the same thing at the same time, the inevitable scrum was unpleasant and time-wasting. 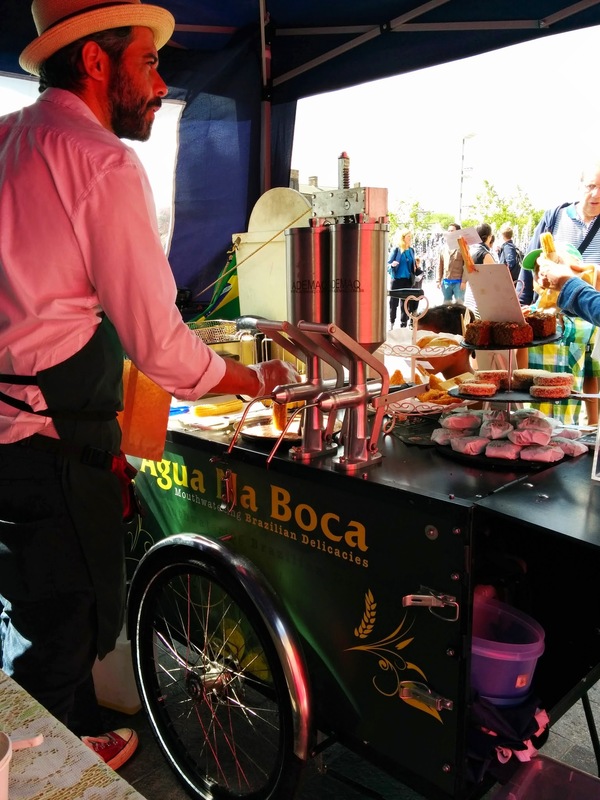 After a few years managing restaurants, Andre yearned for setting up his own food business and he based it on his knowledge of Brazilian delicacies. He then went to London Green Cycles and ordered a LongBox, with lid and front door. He branded it with his new logo “Agua na Boca”, (=”mouthwatering”). 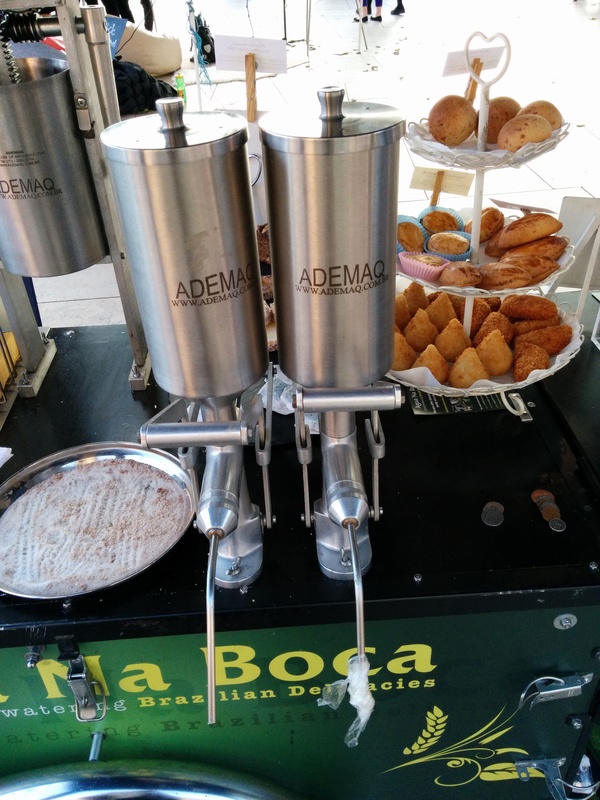 On market days Andre loads beautifully prepared Salgadinhos and Brigadeiros as well the machinery and the ingredients to make Churros on the trike. There is also space for a gazebo. The churros are made express when the customer orders them. I can vouch for the exquisiteness of Andre’s artefacts. I have seen him operate at two different events and his stall has always been very busy. 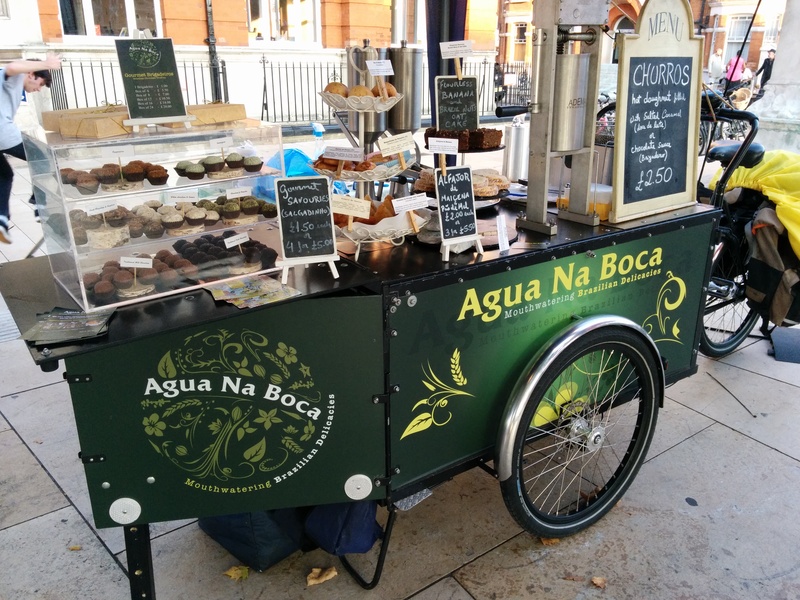 Agua na Boca is also available for private events.